Clumber spaniels are the largest breed of spaniels that were originated in United Kingdom. They come in white color predominantly with orange or lemon markings. Exceptionally they also come in brown or lemon predominantly. 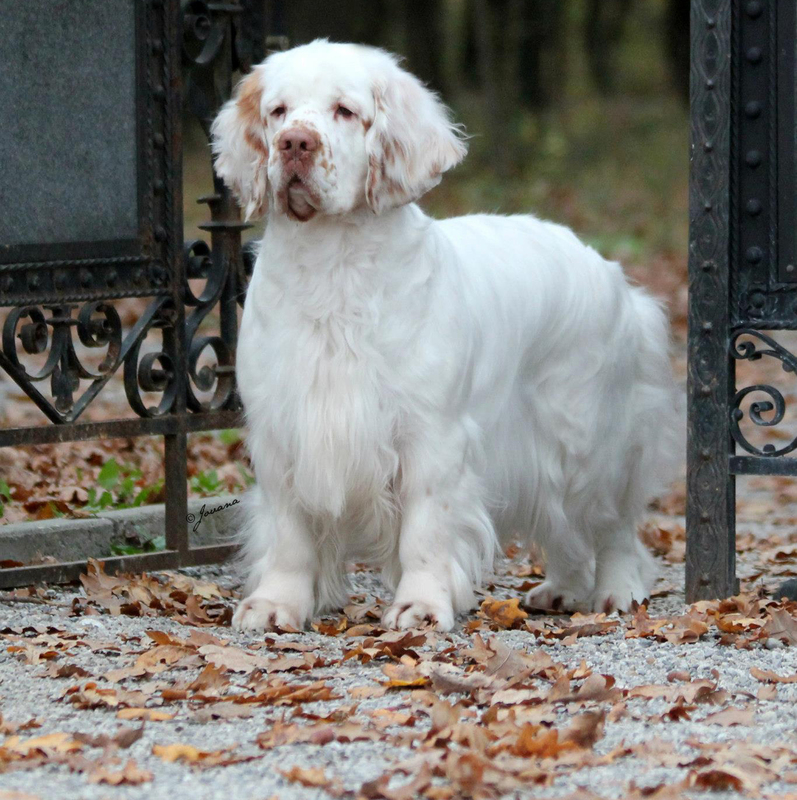 The name Clumber spaniel comes from Clumber Park located in Nottinghamshire where this breed was first formed. It is loyal gundogs that are also found in competitions and show rings like tracking, rally, obedience and other such dog sports. The origin of this breed is still not sure. Although there are many stories that are being told about their origin but none of these are backed with evidence. 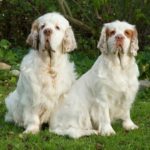 An ancient theory about their origin states that Clumber Spaniel are a breed from crosses between early Alphine Spaniels and Basset Hounds. 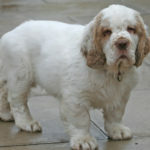 Due to this mixture the body of Clumber spaniel is long and low and head is heavy. 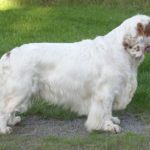 This breed is heaviest among all the spaniel breeds. Clumber spaniels were pride possession of British royals and British upper class. In the previous days UK used to export these breeds to other countries. But now the situation has turned and UK has to important these breeds from other countries. 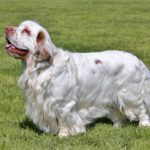 These breeds do not look like other spaniels. An adult dog may require a better quantity of food. 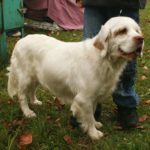 Clumber spaniel needs to be fed differently at their different phases of life. 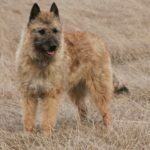 These breeds are very active and may require a good appetite too. However an adult dog may have a low metabolism and it is advisable to provide them with just to meals a day. Plenty of fresh and clean water should always be available for them. 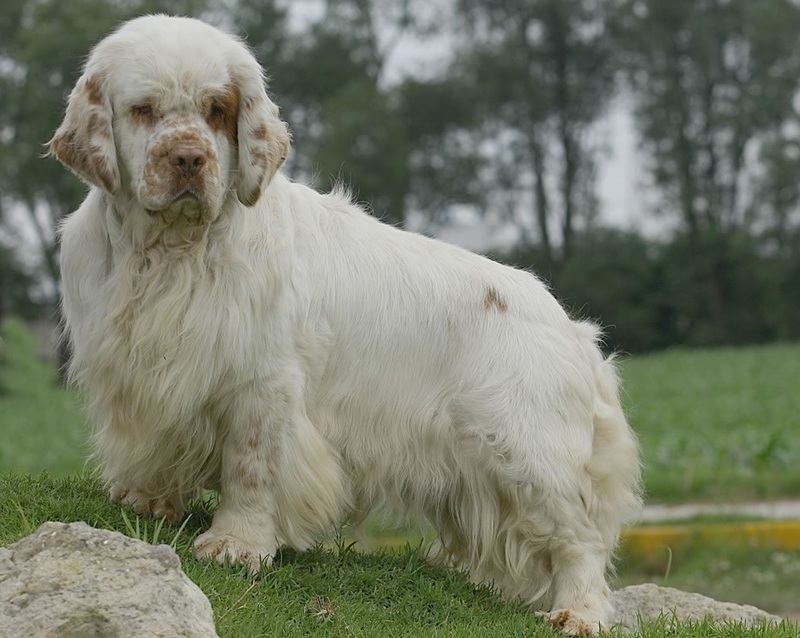 Clumber spaniel is believed to be originated in French nobility during the early 1600 as gun dogs. One of the the theories suggest that French Duc de Noailles handed over his precious kennel of hunting dogs to Duke of Newcastle at Clumber Parkdue to threat from French revolution. Later these breeds were developed at this palce by their gamekeeper named William Mansel. 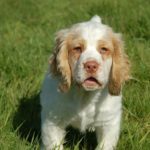 Clumber spaniels are dignified, affectionate, loyal and gentle breeds that enjoy sleeping, eating and curling on the couch. They are intelligent and possess a mind of their own. When these breed are small they are playful and curious. They try to open everything like drawers and even refrigerators. 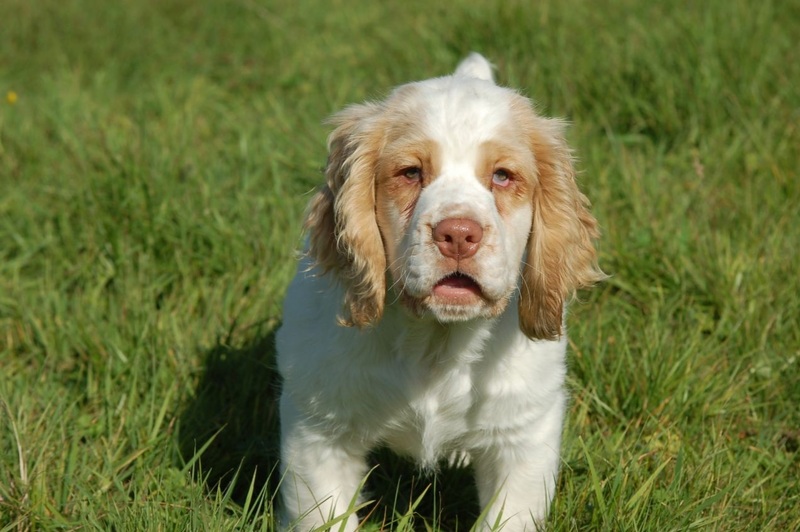 Clumber spaniels were previously used to hunt partridge and pheasant either alone or in packs. They have a good stamina and a strong nose. 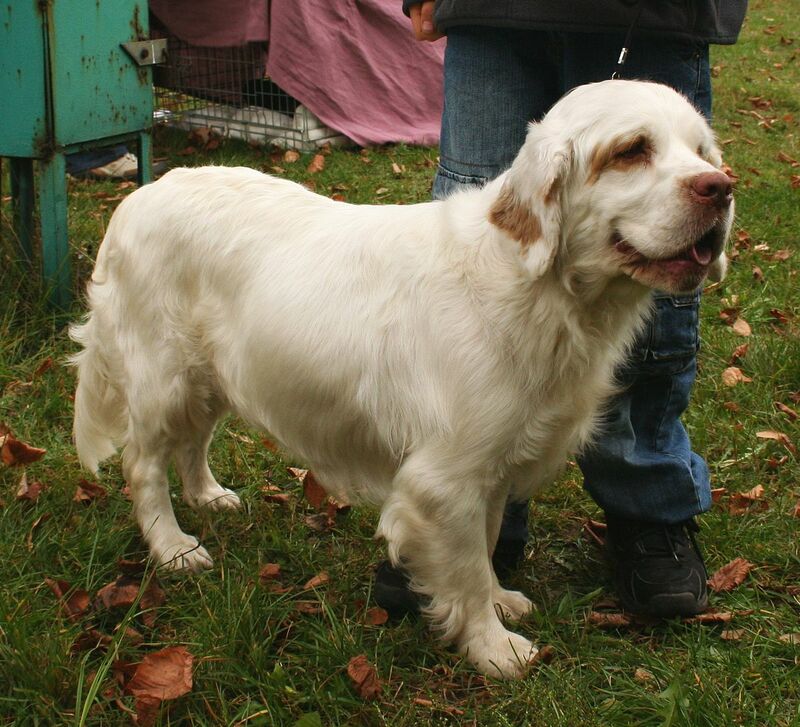 Clumber spaniel is an uncommon breed and love to be indoors. However when taken outdoors they turn active and fill them up with enthusiasm. 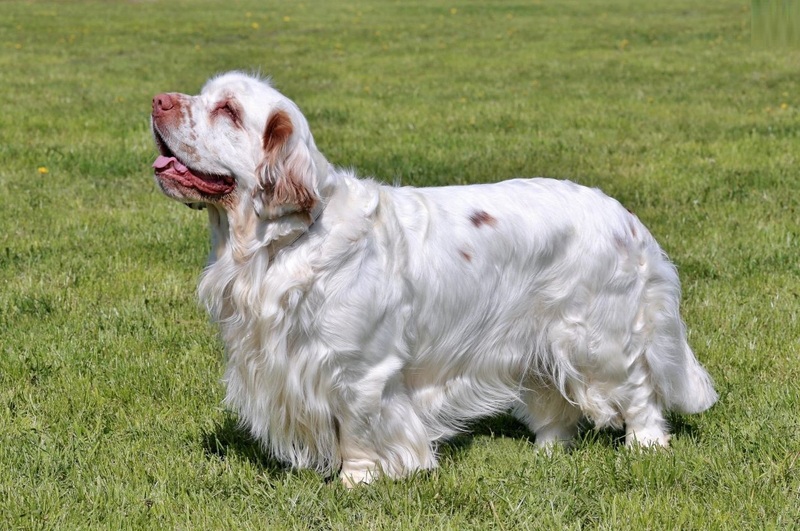 Clumber spaniel are full of energy and very playful. They are not suitable for owners who love hiking, jogging and other athletic sports. However Slumber spaniel should be taken for at least one hour of walking every day. Slumber spaniels like to keep themselves engaged by carrying things in their mouth. 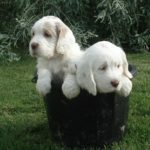 When they are puppies they have great energy which slows down as they turn older. Puppy’s Clumber spaniels are extremely active and are happy romping around in the house. They should be socialized and trained at a very early stage. 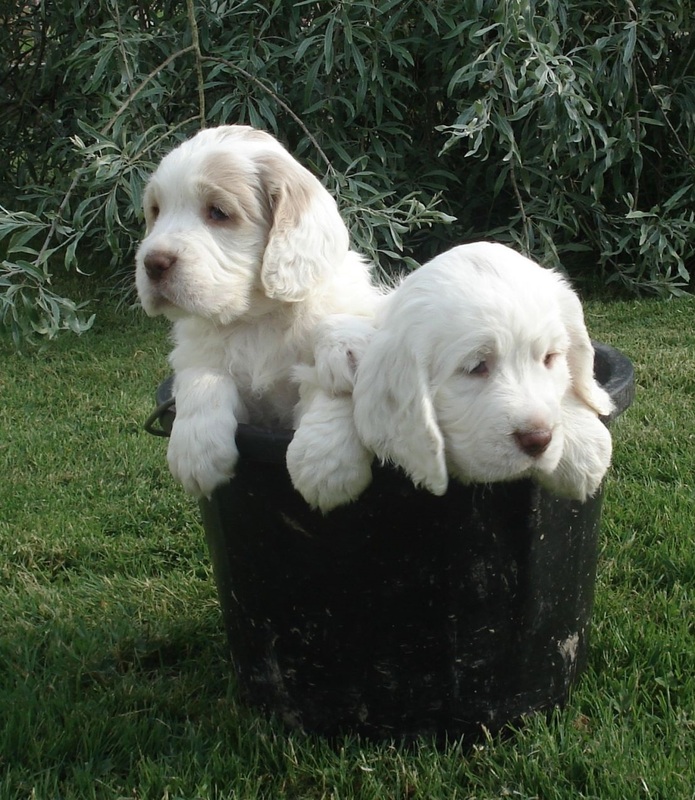 The female Clumber spaniel can reproduce 2 to 8 puppies. The average birth of puppies is about 5. 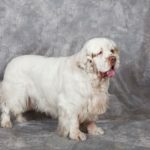 Clumber spaniel can adapt themselves anywhere be it a house, apartment etc.as long as they are getting their exercise sufficiently. When they are indoors they stay inactive. A small backyard is perfect for them especially during cold weather. They are a rare breed and very difficult to find. There are many reasons to it like poor breeding etc. 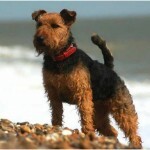 They are an excellent breed for family pets and perfectly suitable for family with children. 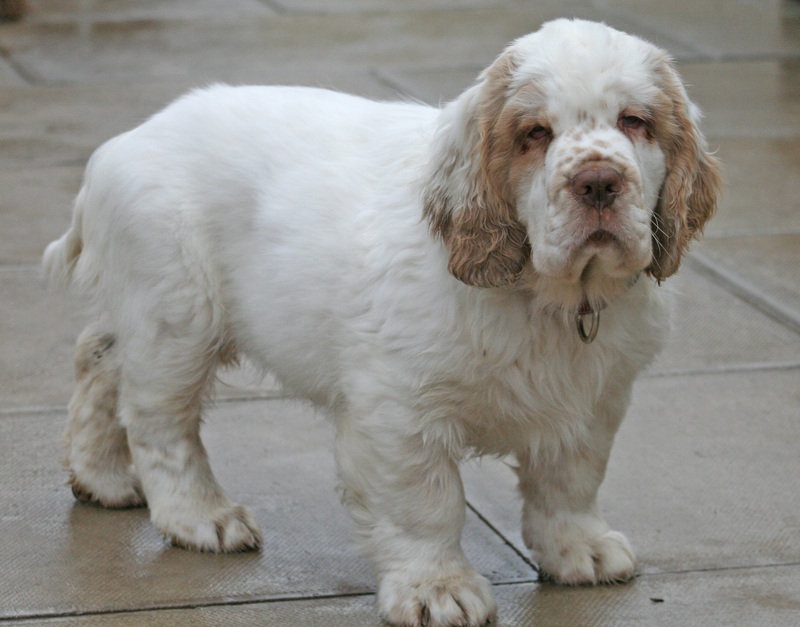 Height of Clumber spaniel is normally 16 to 20 inches and weight is around 55 to 85 pounds. These are the largest spaniels with heavy bodies. Their shape matches with Sussex spaniel but the former has a heavy bone structure and a large head. Their face normally gives an expression of being sleepy and mourning. Their nose and muzzle is square shaped and ears are big with vine shaped. 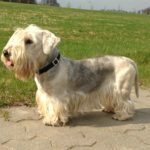 These breeds have freckles on front legs and muzzle. 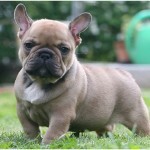 They have a dense, straight, flat, weather resistant fur around legs, belly and ears. 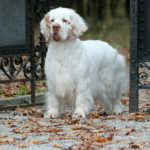 Clumber spaniel can have diseases such as panosteitis, cataracts, entropion, dry eyes, ear infections and hip dysplasia. They are also allergic to flea and other skin allergies. These breed have the tendency to snore, drool and wheeze. It is important not to over feed them as they may put on unnecessary weight. Also keep a watch on them as they might chew and swallow any harmful items lying here and there in the house. Clumber spaniel cannot stand heat. They feel uncomfortable and dehydrated in hot weather. 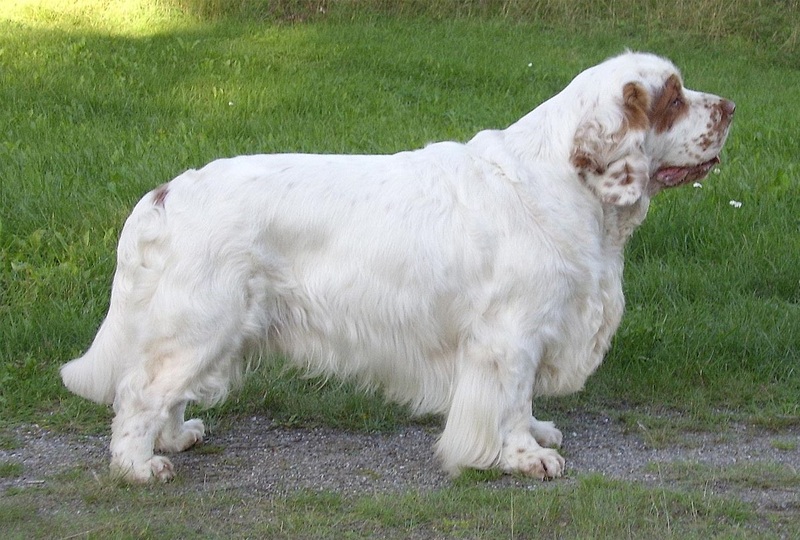 It is also difficult for Clumber spaniel to conceive and give birth. They may require caesarian section for births. 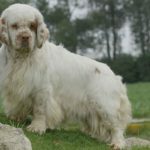 Clumber spaniel shed a lot and also there are timed when the shedding increases extensively and you may find hair all over the place. Hence daily brushing is recommended to keep their hair tidy and clean and to remove all loosen hair. Trim the hair on their legs, tail and feet to make them look neat. Bathe them once in a while to remove dust from their coat. Using a dog shampoo is not a bad idea unless you ensure and rinse the shampoo properly from their body. All the body parts should eb carefully examined to check for symptoms related to any illness. Clean their ears and teeth and also trim their nails regularly. 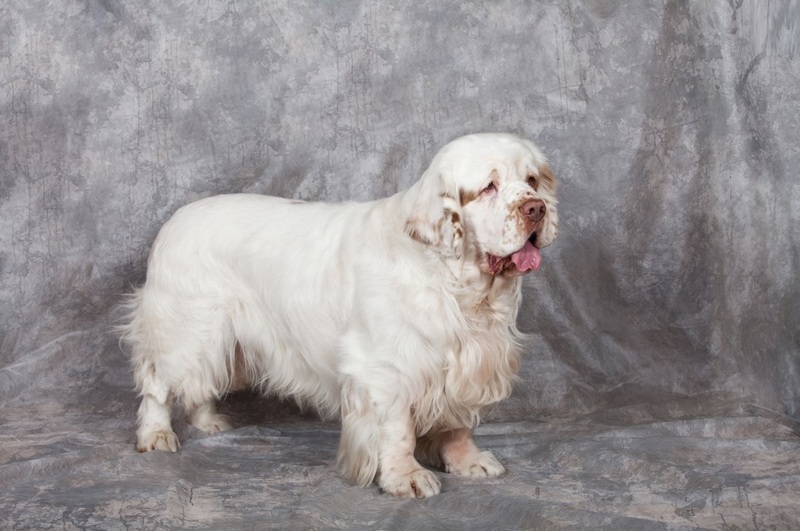 Clumber spaniel shed heavily and sometime even more. Brushing is the only way to clean and prevent the mat from their coat. 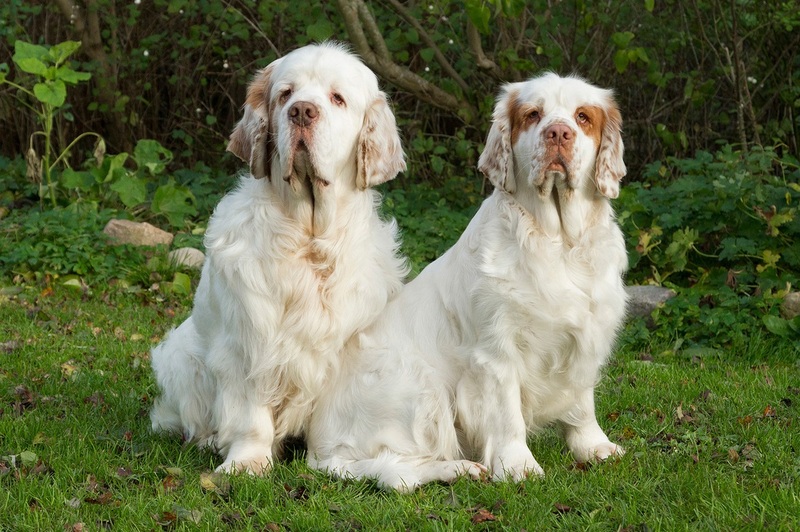 Clumber spaniel are gentle and laid back breed with a temperament of easy going attitude. They are independent, intelligent and willful. They are responsive and obedient once they are trained. They can live peacefully with cats and other dogs in the house. These breeds are not watch dogs and are not barkers, hence they should not be kept with an objective of protection. 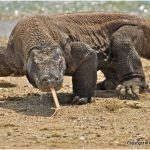 They have a low build, heavy and a long body that makes them so unique.